Almost hidden amongst the rows of people in cafe chairs and tables crowding the street, La Belle Miette on Hardware Lane serves those pastel coloured French delicacies I so adored in France. 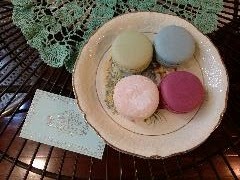 Macarons of traditional and newer flavours in varying degrees of sweetness will taunt you to give them a try, or at least to take some away for your girlfriends. There are so many La Belle Miette chains around Melbourne. This is only one of them. I liked the pistacchio - the traditional - and also the scone and jam - the not-so-traditional. 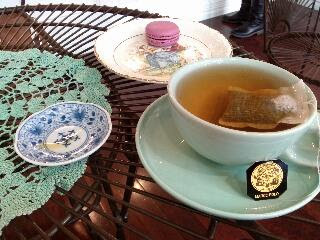 I loved how they had Mariages Frères tea - Marco Polo, my favourite!